Last week, the Livi For Life trust and the Raith Supporters Trust sent a joint letter to Neil Doncaster, chief executive of the SPFL, regarding the rescheduling of the final set of fixtures in this season’s Championship campaign. Following this, we were pleased to speak to Mr Doncaster to discuss the issues raised in our letter. Many of the issues we discussed are confidential in nature, relating to the commercial arrangements with various broadcasters. We can report, however, that Mr Doncaster acknowledged the difficulties that the rescheduling of fixtures raised for supporters, particularly those at key points in the football season; and that our concerns were listened to and understood by Mr Doncaster, and in many cases shared. Where we weren’t in total agreement, we were pleased that the constructive tone of the conversation allowed these concerns to be noted for consideration in future. We will strive to ensure structured dialogue on issues such as these takes place, and would welcome any opportunities for supporter representation in discussions with broadcasters going forward. We would like to express our gratitude to Andrew Jenkin of Supporters Direct Scotland for helping to arrange this conversation. 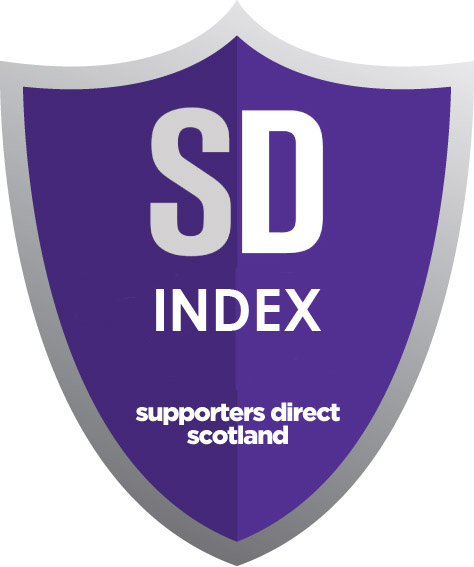 SDS and the network of Trusts that it supports provide a forum for dialogue and engagement between supporters across Scotland, and with the football authorities, and we appreciate the opportunities that this creates. 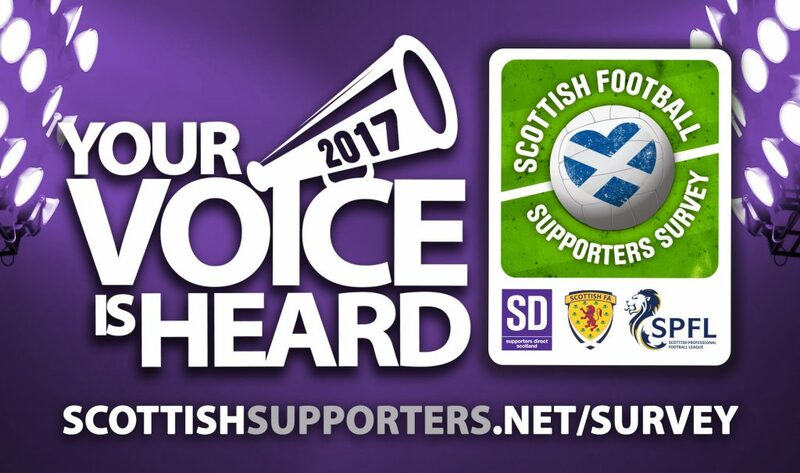 The Scottish FA, the SPFL, and Supporters Direct Scotland are pleased to today (Saturday 26 March) launch the Scottish Football Supporters Survey 2016 – designed to give supporters across the country their say on the big issues affecting the national game. Sign the petition at https://www.change.org/p/scottish-government-manifesto-for-change-within-scottish-football to add your support to this campaign. Supporters Direct Scotland has been a major force in Scottish football in recent years, successfully challenging the political parties and football authorities to introduce real reform for the benefit of the fans. With these crucial elections in May 2016, we challenge the major parties to adopt our agenda to implement lasting change for Scottish fans. Supporter involvement within the game is critical. SDS wishes to see clubs engage with supporters through a range of structured means including quarterly meetings with Supporters Trusts and embracing supporter on to the board of clubs. Supporters contribute time, emotional effort and, over a lifetime, a huge sum of money to support their clubs. Clubs should make a more concentrated effort to embrace their views. We are pushing for the creation of a new ‘Community Sports Fund’ for supporter groups to have a bigger stake in their club. SDS believes community groups and community owned clubs offer greater social value and could bring larger net benefit if they had access to affordable capital to transfer assets into community ownership. Football is a universally loved sport which can unite people and create positive change in the community. SDS can continue to play a key role in eradicating sectarianism, sexism, homophobia and racism which still exists around sport. SDS is committed to championing equality through sport and will continue to work with the key stakeholders to tackle discrimination. The commodification of football has meant that too often, supporters have been viewed as cash cows rather than the lifeblood and valued stakeholders they are. SDS will continue to campaign for a ‘Football is Fair’ ticket price limit for Scottish FA & SPFL games to ensure that football remains accessible and affordable to families and future generations. SDS is passionate about equality at every level of the game, including financial equality. We would like to see those who work within clubs, some of which are multi-million pound companies, pay all their staff a living wage. SDS believe that if clubs can afford to pay players significant sums of money, they can afford to give staff an appropriate salary. League Cup re-vamp… what do you think? Earlier this week it was announced that the League Cup will be restructured to include a group stage before the beginning of the league season, bonus points for penalty shoot-out victories, and a winter break for the top tier clubs (and potentially for clubs in the divisions below). We would be keen to hear your opinions on these changes, let us know what you think. Supporters Direct have issues the following press release regarding a consultation process which will run until mid January. The Scottish Government are promoting the opportunity for supporters in Scotland to have their views heard around the creation of legislation to help with advancing supporters involvement within the game. “The Scottish Government is committed to ensuring football supporters have the opportunity to be involved in the decision making and running of their football club wherever possible. “I know some clubs already engage well with their fans, but I believe we can do more. “Our consultation is seeking views on each of the main options to strengthen supporter involvement in clubs: a right to influence, a right to govern, a right to bid, and a right to buy. “Football clubs occupy a special place in the hearts of supporters and communities in Scotland. The Scottish Government believes supporters should have a role in decision-making – or even ownership, when the opportunity arises – of their clubs. The consultation is available online for people to complete, and the Scottish Government is working with fans’ representatives, football bodies and MSPs to ensure all views are heard. The consultation timeline is longer than usual and will run until 15 January 2016 to specifically allow for the widest and most representative range of responses. Following the closing date, all responses will be analysed and considered along with any other available evidence. It is expected that a report on the consultation will be published in Spring 2016. The consultation follows on from the Scottish Government’s establishment of a working group led by an independent chair, Senior Lecturer Stephen Morrow of Stirling University, which was asked to identify, consider and provide recommendations on potential ways to increase and improve supporter involvement clubs. The working group – which included representatives from the Scottish FA, Scottish Professional Football League, Supporters Direct Scotland and sportScotland – published its report on 30 January 2015 and made a number of recommendations which are now being taken forward. Supporters Direct help fans to set up democratic cooperatives (known as supporters’ trusts) to gain influence in the running and ownership of their clubs. SD and SD Scotland represent over 200 supporters’ trusts and similar organisations in England, Scotland and across Europe, with over 750,000 members. Following on from the events of last Friday, the Raith Supporters Trust today wrote to the Chairman of Raith Rovers calling on the club to support the introduction of strict liability to Scottish football. We feel this is a vital step to help eradicate sectarian and offensive behaviour at football grounds. We are writing to you in relation to the sectarian chanting at our recent home game against Rangers FC and the ongoing debate in the press around this issue. I am sure you will agree that the level of sectarian singing at the Rangers match was completely unacceptable and not the kind of atmosphere which supporters of our club wish to be exposed to whilst following their team. Regrettably, this, and other offensive behaviour, is not a new problem for Scottish football. It is the latest in a long line of incidents which continue to blight our game and numerous initiatives by the football authorities and clubs have failed to eradicate this hatred from Scottish football. The Raith Supporters Trust believe that a change in approach is required if we are serious about tackling this issue. That is why we are calling for UEFA’s ‘strict liability’ principles to be introduced into Scottish football. We believe that this change in approach would help eradicate the kind of offensive behaviour we witnessed recently at Stark’s Park. The strict liability principle has been effective in tackling racism, homophobia and other forms of unacceptable behaviour in European football. It applies to all UEFA-run competitions, and has been adopted by a number of individual football associations including the English FA and we believe that it is an approach that is urgently needed in Scottish football. We are not alone in supporting this change. The introduction of European style sanctions reflect the recommendations made by Scottish Government’s advisory group on sectarianism and have been supported by leading anti-sectarian charity Nil by Mouth. Simply leaving it to individual clubs and hoping that it goes away has proved to have failed. Raith Rovers FC has in recent years taken the lead on the future of the Scottish game and issues of sporting integrity. This has improved the reputation of Raith Rovers and given our support an even greater sense of pride in this great club. We hope that you can further enhance this by supporting our call for proposals to introduce strict liability to be brought forward as soon as possible and voting in favour of it. Alcohol sales at Starks Park – what do you think? So the Tories are writing to all scottish football clubs to get their views on allowing the sale of alcohol at football games the same way as they do in England. So what do you as supporters think? Would you like a pint with your pie rather than a bovril?